Home designers will tell you that every room in your house should have that one eye-catcher — the piece that draws attention and starts conversations. Whether it’s a lamp, a hanging frame or some fancy curtains, there should always be something to catch the attention of everyone who walks through. The same can also be said for your business. You should make sure your space has one piece that causes people to look a second time. It should provoke a feeling and complement the environment. It should serve a purpose — one that’s in addition to promoting your business’s brand. 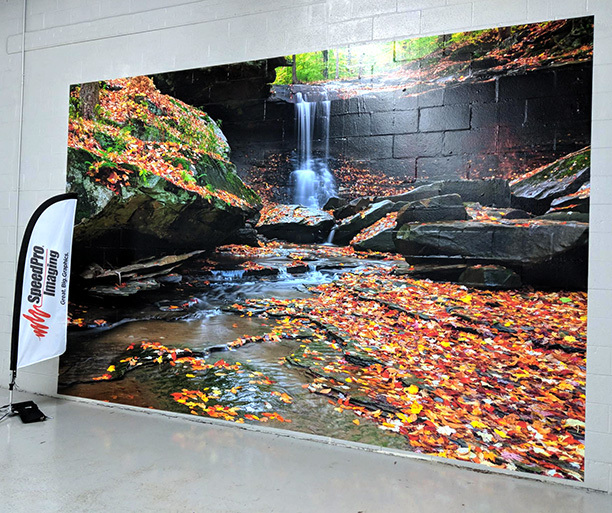 With the help of SpeedPro Imaging Akron North, you can install a large format wall mural to your office lobby, hallway or conference room. 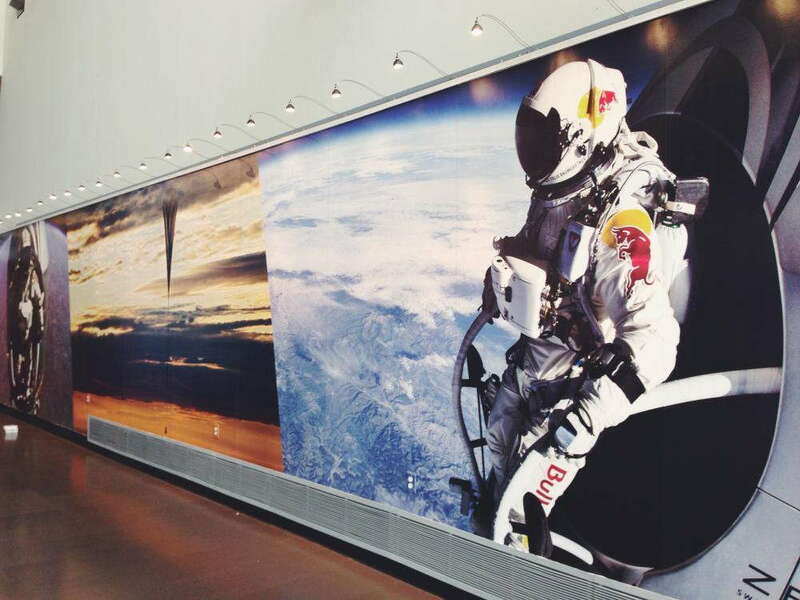 Wherever you see the most traffic is where your wall mural should live. Contact our studio, and we’ll help you design and promote your brand today! 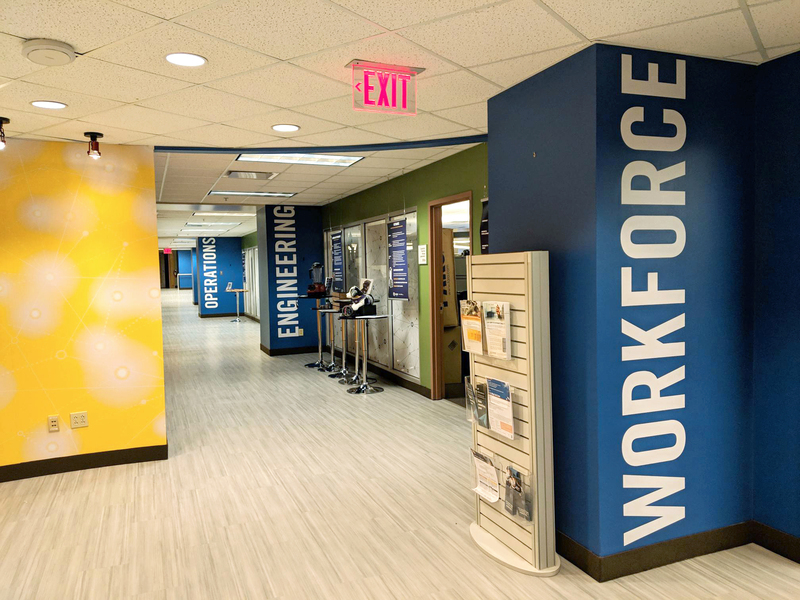 One of the first things we’ll clarify once we sit down for a consultation with you is where, exactly, the mural will go — and beyond that, who it’s for. 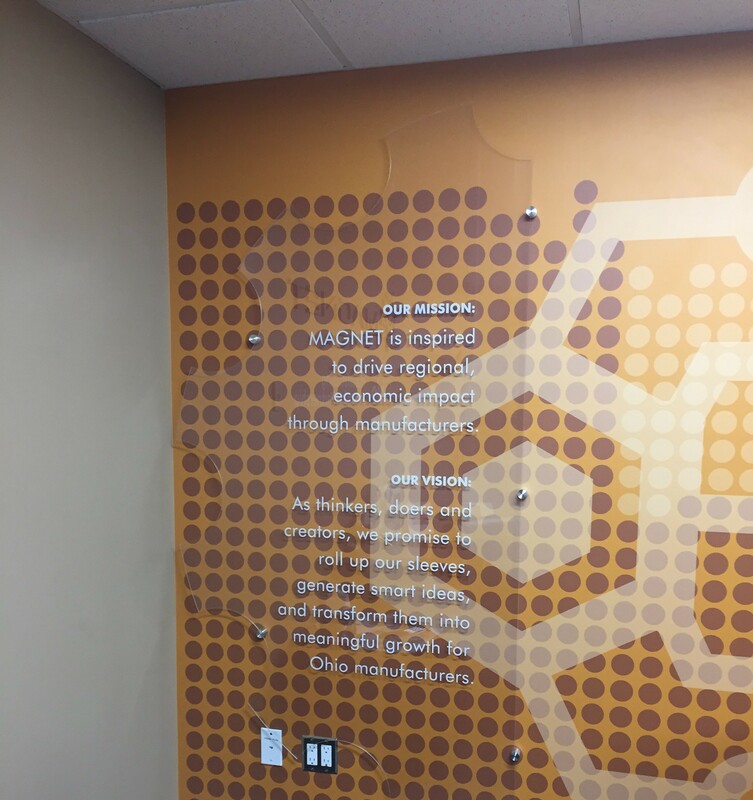 The meaning and purpose of a printed wall mural can change depending on the audience. Let’s say you’re trying to connect with customers. 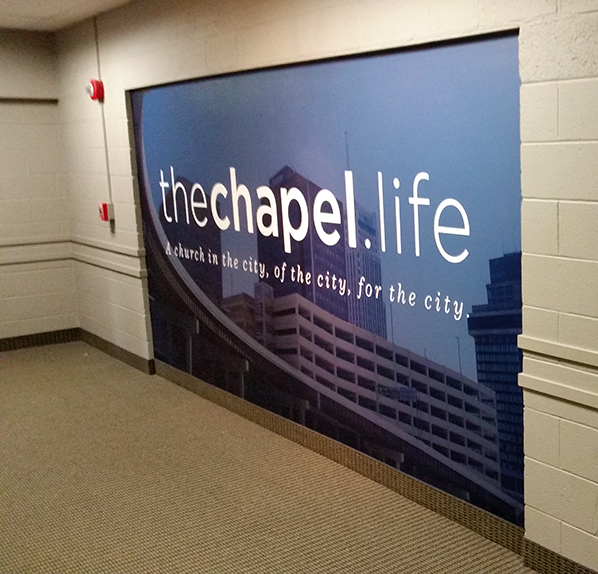 If you greet them in the lobby with an expansive vinyl wall mural, it’s one of the first things they’ll see. Reflect your brand with the design, and they’ll feel like they understand your business a little more. 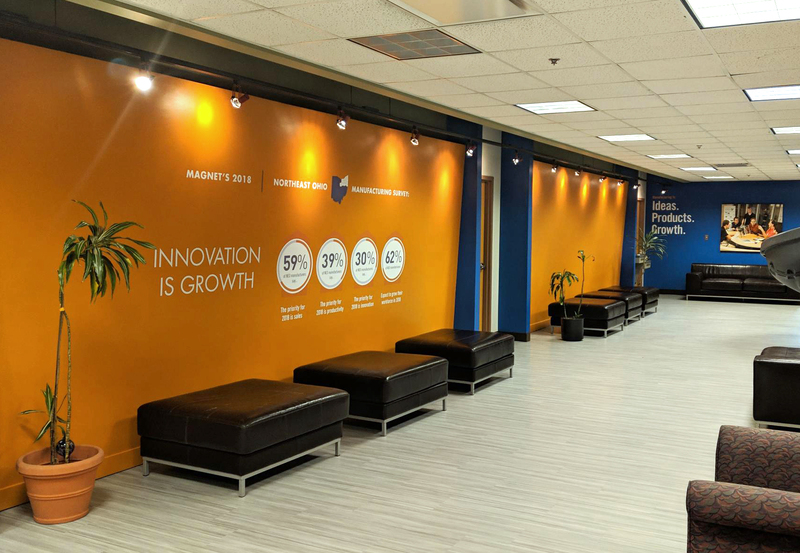 If you keep the design consistent with the rest of the graphics and imagery in your office, they’ll also feel calm and at ease — not confused or thrown off by the single lavish item surrounded by seemingly nothing. Sometimes, you need to motivate your employees instead. Somehow, morale has dwindled, people aren’t working as efficiently as they used to and you need to do something to energize them. 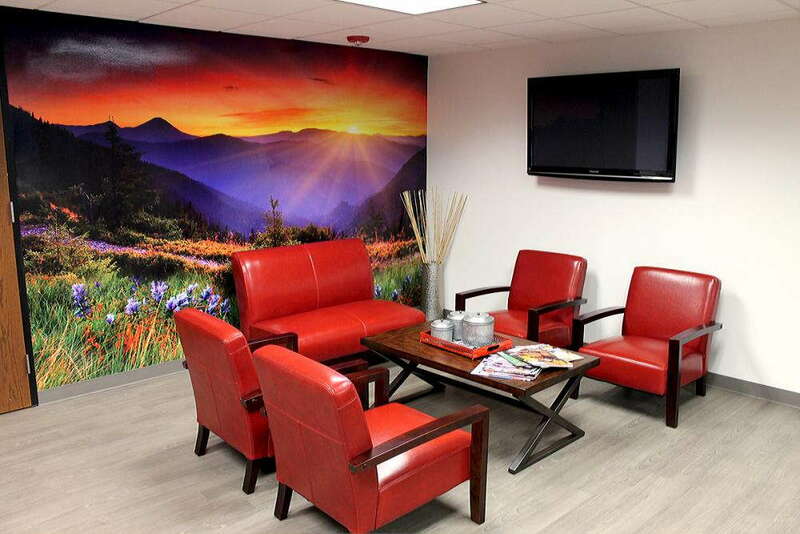 In the office common area, why not display an illustrated wall mural? If we capture your brand in our design, it will remind them why they decided to join the company in the first place and spark that motivation. The same thing also goes for a conference room. Do you need to motivate your team to come up with solutions? 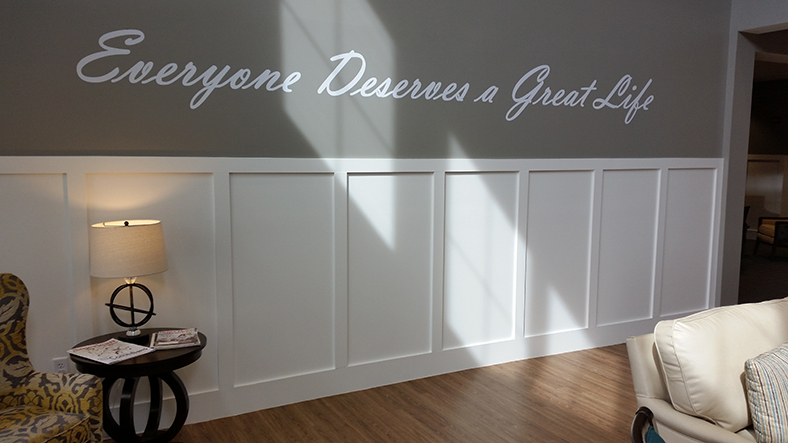 Do you need a reminder of your company’s goals and ideals? 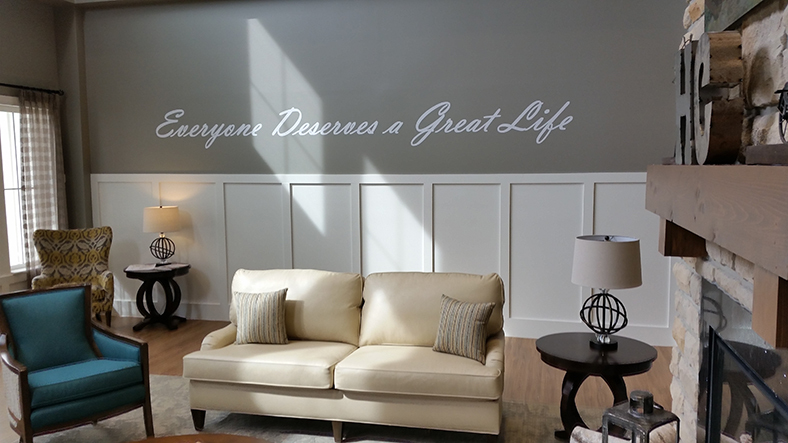 Portray your mission statement in bold letters so that it’s unmissable during every meeting. 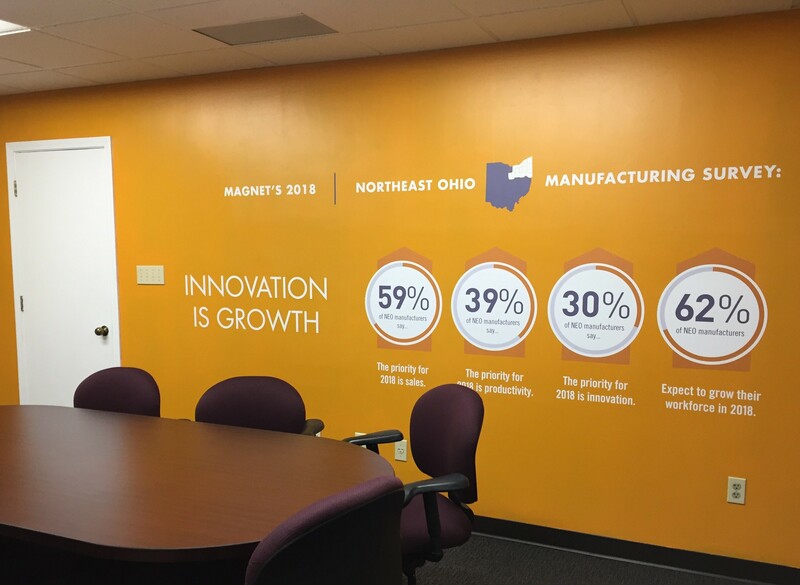 Watch how your team goes from scratching their heads in disappointment to celebrating successes with high fives after feeling the presence of your motivating wall mural! 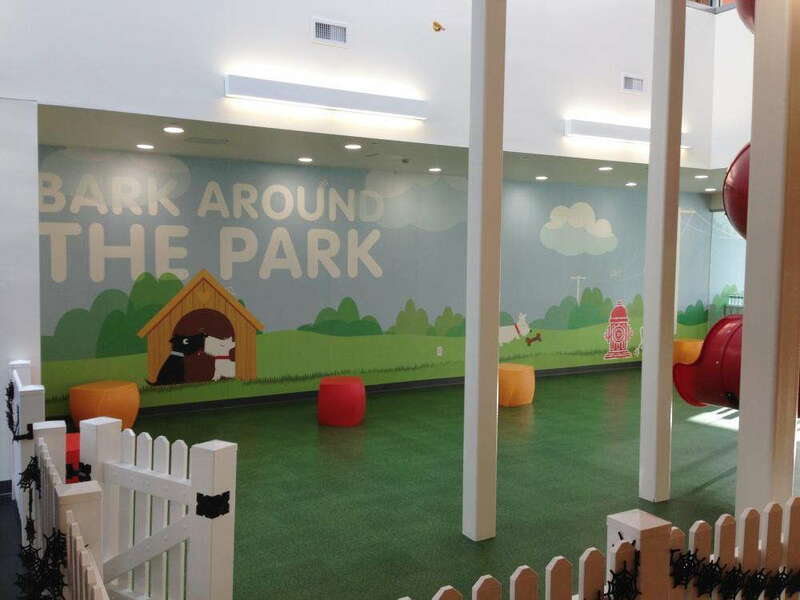 Our large format wall murals are durable vinyl pieces, able to stick to your wall and remain there in beautiful condition for up to seven years. 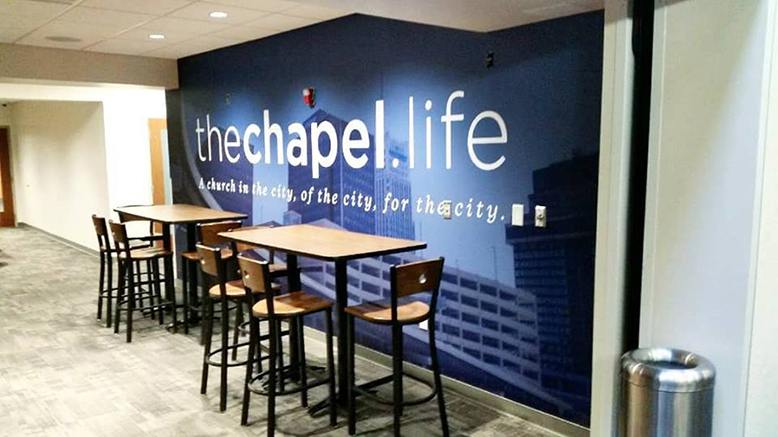 Wall murals can reflect your business’s commitment to serving customers for long periods of time, without fail. 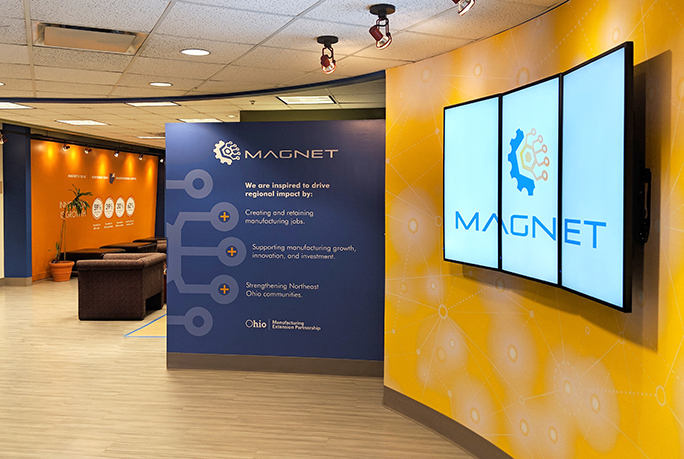 If your business or organization is in the Akron area, visit our studio today! We’ll work hard to meet your branding needs and create a result you’re proud of.